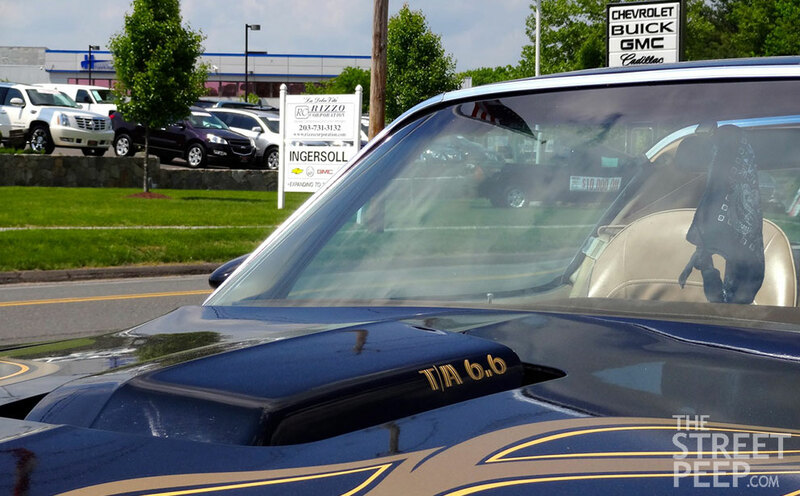 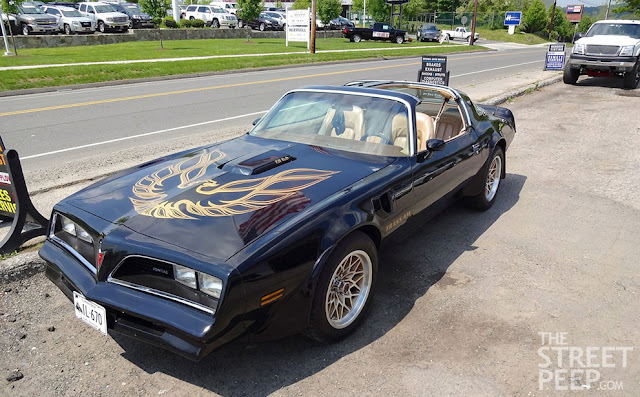 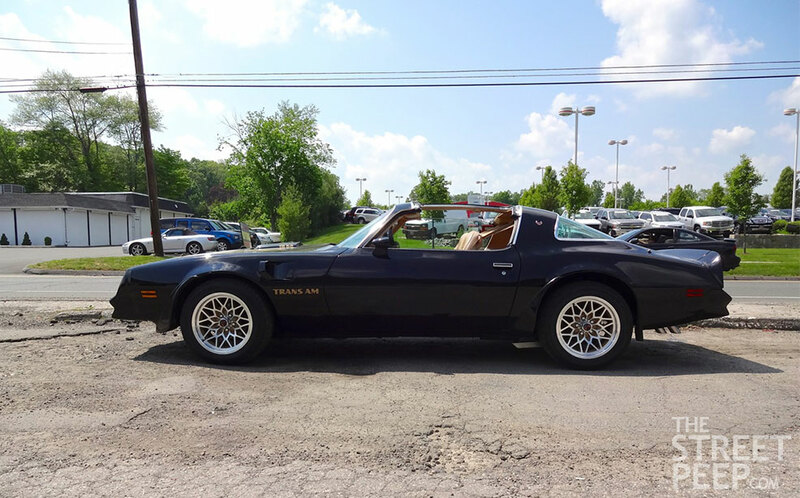 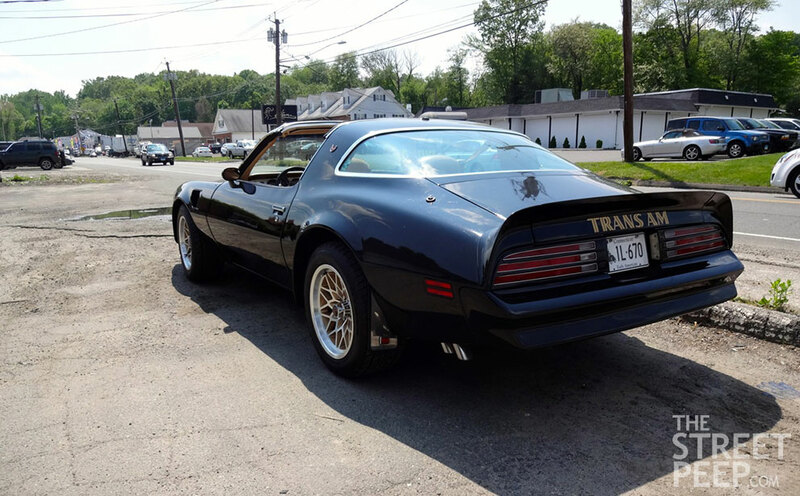 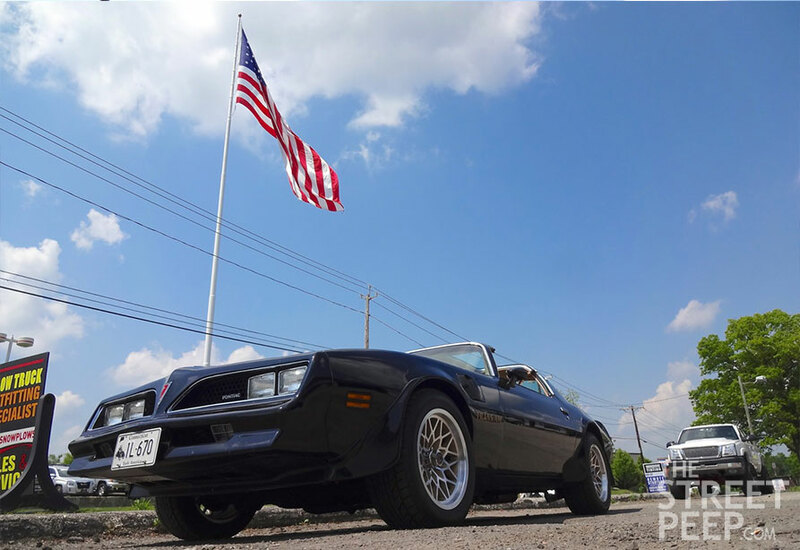 THE STREET PEEP: 1978 Pontiac Trans-Am SE "Bandit Edition"
Original accessories for the 1978 model year included a matching bandana, a box of condoms, and a pack of Marbs. Those look to me like larger diameter, modern re-pro Snowflake wheels. 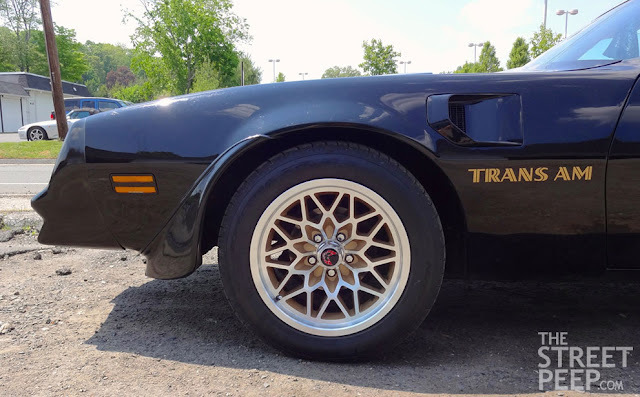 I usually don't like old wheels reproduced in larger diameters but here it works! Yeah, they're subtle. 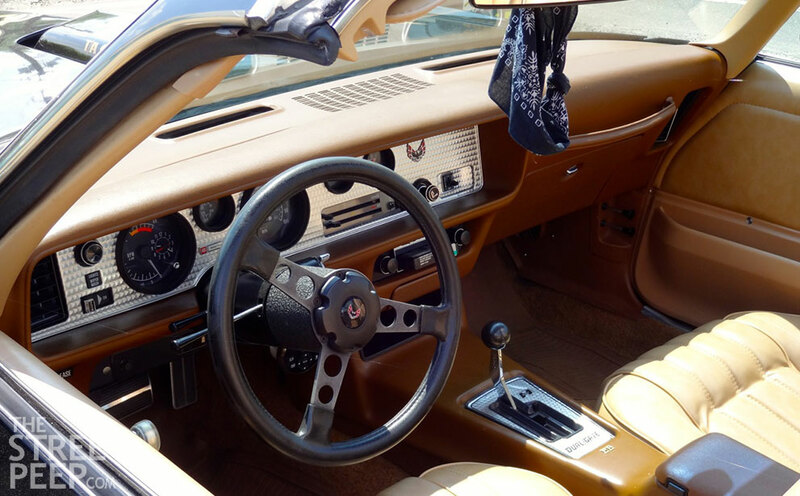 I like the modern upgrade. I've seen even larger retro versions of the snowflakes.